State Tested Nursing Assistants are critical to the provision of direct care to seniors and persons with special needs. They help patients with activities related to everyday care, such as bathing, feeding, dressing, and movement. They check vital signs, keep patients’ rooms clean, monitor patients’ response to treatment, and communicate with patients and their families. STNAs work under a nurse’s supervision in long-term care facilities, nursing homes, and patients’ homes. They make up the largest category of health care providers supplying direct care. The Bureau of Labor Statistics lists CNAs/STNAs as one of the fastest growing professions in the United States. Due to demand, the profession attracts a lot of interest from persons seeking stable employment. Compassion and patience are essential since it is an STNA’s duty to demonstrate these characteristics in the provision of quality care. STNAs must show sensitivity and respect in their dealing with patients who are unwell and unable to take care of themselves. STNA training programs cover the minimum skills needed to function effectively in the role. However, additional skills like nutrition, meal prep, occupational therapy, and others will be helpful for STNAs who plan to care for patients confined to their homes. The short-term STNA training will emphasize care of the elderly or disabled and how to assist them in all aspects of daily living and coping. STNA classes that are approved by the Ohio Department of Health (ODH) will cover at least 75 hours of theory and clinical instruction. However, many programs exceed the state required minimum to foster confidence and competency on long-term care. The 75-hour, State Approved Nurse Aide Training (STNA) and Competency Evaluation program at HC Frontier Health Care Services is targeted to adults who want to work in long-term care facilities. The training also helps students who plan to enroll in the licensed practical or registered nursing program. The STNA curriculum comprises of 59 hours of classroom lectures and 16 hours for a mandatory clinical rotation. Students learn how to change bed linens, provide basic care, feed, bath and dress patients, collect specimens for lab work, record fluid intake and output, move patients from the bed to the wheelchair and vice versa, record vital signs, measure height and weight, and record food and liquid intake. The day class meets 10 days in the classroom and 2 days for the clinical. Class times are 8:00 am to 2:30 pm. The evening class meets 15 days plus 2 days for the clinical rotation. Class times are 5:30 pm to 9:45 pm. Graduates will be eligible to take the state written and skills exam to be listed on the State Nurse Aide Registry. Tuition for the day class is $395. The evening class costs $445. Students must purchase textbooks, white scrubs, and supplies. The State Tested Nurse Aide program at Academia School of Nursing prepares adults for entry into the fast-growing field of healthcare. The curriculum delivers 75 hours of theory and practical instruction to prepare students to take the written and skills components of the state test. Test candidates must take and pass both parts of the test to be listed on the Ohio Nurse Aide Registry. The program’s emphasis is the delivery of competent and patient-centered care to patients and residents in long-term care facilities, hospitals, assisted living facilities, patients’ homes, and hospice care centers. Students will take courses in nursing arts, personal care, introduction to healthcare, anatomy and physiology, ambulatory transfers, body mechanics, vital signs, diet and nutrition, infection control, communication, and hospice care. Classes meet Monday through Friday from 8:00 am to 4:30 pm. The duration of the program is two weeks. Tuition for the program is $299. The State Tested Nursing Assistant program at Alia Healthcare follows a 75-hour format that is approved by the Ohio Department of Health. Alia offers five different schedules to meet the needs of working professionals. Students who want to complete the program in the shortest time possible can select the 2-week accelerated option, which requires full-time attendance. Classes meet Monday through Friday from 8:00 am to 4:30 pm for 10 days. New classes begin every two weeks. Clinical rotations commence on the second Thursday and end on Friday. A 4-week evening program, 8-week weekend schedule, and 4-week part-time morning and evening schedules are available. Course topics include basic nursing skills, nurse aide roles, communication, interpersonal skills, mental health, safety and emergency procedures, aging, hygiene, grooming, legal and ethical issues, death and dying, social services, and mobility. Students will develop technical skills in the school’s simulated lab before commencing the hands-on clinical experience where they will care for patients in a long-term care facility under the direction of a licensed nurse. It is essential that students attend all classes to fulfill the requirements of the Ohio Department of Health. Missed hours must be made up with prior arrangements. Missed classes can result in dismissal from the program. A flexible payment plan is available. The tuition must be paid in full before the last day of classes. Premier Choice Health Services offers a two and a half week nurse aide training program throughout the year. The 75-hour course includes 59 hours of classroom STNA training and 16 hours of clinical experience in a long-term care facility. 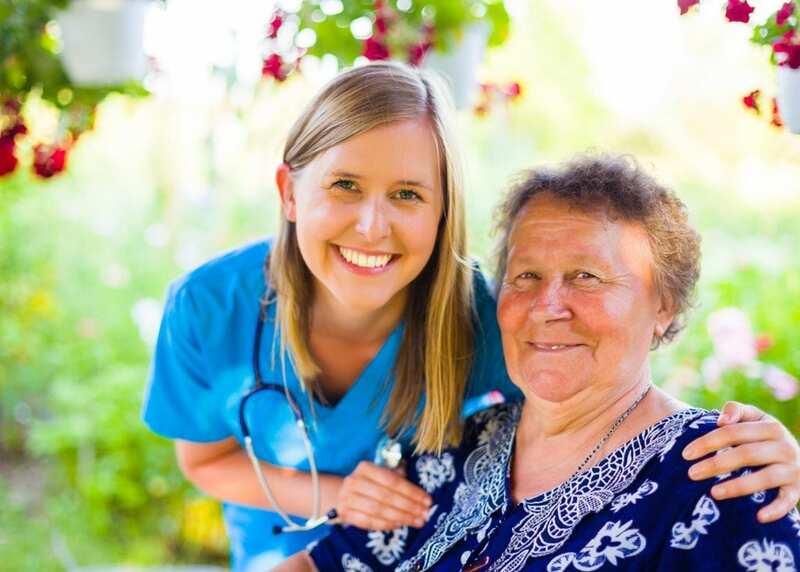 The aim of the program is to produce nurse aides capable of providing care to residents in a long-term care facility, hospital, personal home, and assisted living facility. Classes will address basic nursing skills, infection control, vital signs, medical terminology, personal care, range of motion, laws and ethics, the role and responsibility of the nurse aide, and hospice care. Due to the state requirements for training, no absences are permitted. Graduates will receive unlimited free reviews in preparation for the state certification exam. Enrollment is limited to offer personalized instruction. Various class schedules are available to accommodate varying needs. The day class meets Monday through Friday from 8:30 am to 3:00 pm. The evening class meets Monday through Friday from 5:30 pm to 10:30 pm. Schedules are subject to change. The clinical rotations are scheduled for Saturday and Sunday. A physical indicating ability to participate in the clinical without restrictions. Tuition costs $385 and includes the cost of books and lab materials and unlimited reviews. A payment plan is available. Ultimate Health Care Solutions, Inc. The year-round STNA training at Ultimate Health Care Solutions, Inc. includes classroom instruction and hands-on experiences to prepare students to performed delegated functions in a hospital, home, hospice, or long-term care facility. Graduates will be prepared to take the Ohio State Board Exam to be added to the Nurse Aide Registry. The course covers topics such as mental health, basic nursing skills, interpersonal skills, nurse aide role and responsibility, communication, legal issues, safety and security, personal hygiene and grooming, social services, aging and mobility, common diseases, and death and dying. Students must participate in the clinical rotation that takes place offsite at a skilled nursing facility. The clinical activities reinforce the classroom instruction and empower students to move directly from the program to a real-world environment. Day and evening schedules are available. The duration of each option is two weeks. The cost of attendance is $372. Job placement assistance is available for all students. Arlington Court Skilled Nursing and Rehab Center offers free training to persons interested in entering the field of healthcare. The state-approved course includes 75 hours of classroom and clinical instruction to provide students with the essential skills to pass the State Nurse Aide Exam and practice as an STNA. The test is scheduled at the facility giving students the opportunity to take the evaluation in a familiar environment. Students must maintain a minimum 80% GPA throughout the program. Graduates will be eligible for employment at Arlington Court. Buckeye Health Agency, LLC’s STNA Training Program is offered through the Health Career Institute and includes the preparation for employment as a nursing assistant. The program is fully approved by the Ohio Department of Health and includes 75 hours of classroom and hands-on instruction in a clinical setting. At the end of the 2-week certificate program, students will be prepared to take the Ohio State Nurse Aide Exam. The classroom instruction will prepare students for direct patient care in the clinical facility through the introduction of topics like infection control, CPR, body structure and function, introduction to health, basic nursing skills, medical terminology, and the nurse aide role. Class schedules are Monday through Friday from 8:00 am to 2:30 pm or 4:00 pm to 9:30 pm. Use the contact information below to learn more about the program and cost of tuition. Experienced instructors teach Larock Academy’s STNA students basic nursing skills, personal care and grooming, infection control, medical terminology, safety procedures, body structure and function, the nurse aide role, death and dying, vital signs, law and ethics, and other fundamentals to prepare them for the nurse aide exam. The program operates with the approval of the Ohio Department of Health and covers 75 hours of classroom and clinical instruction to prepare graduates for success on the State Nurse Aide Exam. Graduates will be able to use their certification to improve their chances of acceptance in a licensed practical or registered nurse program. Limited enrollment keeps class sizes small to provide an optimal learning environment for students. Classes meet Monday through Friday from 9:00 am to 4:00 pm for two weeks. Tuition costs $395. Job placement assistance is available for graduates.